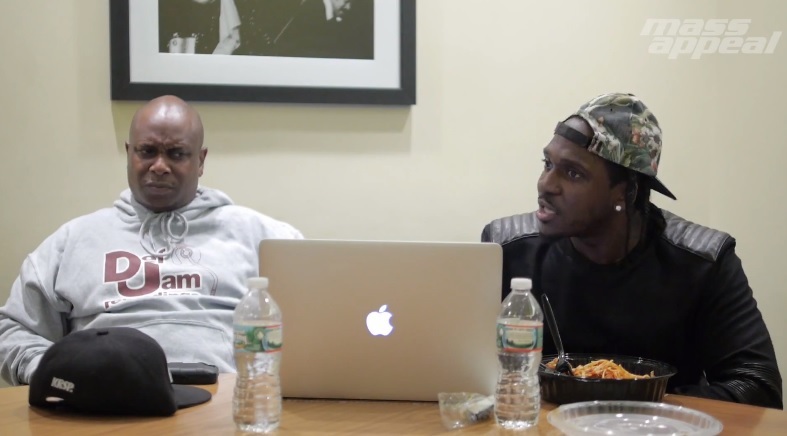 Mass Appeal delivers the third and final part to their “Release Roundtable” with Pusha T and panel of Hip Hop bloggers as they examine and break down My Name Is My Name. Watch as Pusha addresses his love for Rick Ross and Young Jeezy and his disappointment that fans will probably never hear the two on any future collaborations. ”King Push” also touches on “Hold On” featuring Rick Ross and “No Regerets” with Young Jeezy and Kevin Cossom. This entry was posted in Miscallenous, Video and tagged hip hop, hold on, kevin cossom, My Name Is My Name, no regrets, pusha t, rap, release roundtable, Young Jeezy. Bookmark the permalink.